Watson Farley and Williams will retain 100% of its autumn 2017 qualifying trainees, while Mishcon de Reya‘s rate of retention has dipped below 80% for the first time in three years. All of Watson Farley’s 15 final-year trainees will stay at the firm on permanent newly-qualified lawyer (NQ) contracts, marking a modest improvement over last year’s autumn trainee retention rate when 13 out of 14 or 93% of its trainees were kept on. The NQs will be retained across Watson Farley’s practice areas; four in energy, three in asset finance and corporate, and one each in litigation, real estate, tax, employment and finance. Mishcon’s trainee retention rates dropped from its autumn trainee retention last year, when all 11 trainees were kept on. This year, the firm has retained nine out of a group of 14, equalling just 64%. A number of UK firms have announced their autumn 2017 trainee retention rates, revealing that Mishcon’s 64% rate fell below both Trowers & Hamlins and Withers, who posted 70% and 73% rates respectively. Watson Farley posted strong financial growth in its most recent financials, with global revenues rising above 20% to £159.8m. Mishcon also recorded a strong set of results this year, with 17% turnover growth to £149.4m. The firm’s revenues have doubled since 2011/12 when Mishcon’s top line was £73.1m. Keir Starmer QC, the Labour MP and the party’s Brexit spokesperson, has decided against taking on a role advising the Mishcon Academy, Mishcon de Reya‘s in-house training arm in London, citing other commitments. Yesterday’s media reports of discussions between Starmer and Mishcon regarding possible work advising in-house training arm attracted criticism from a Conservative MP who sought to accuse him of a ‘conflict of interest’. Earlier in the year, Mishcon de Reya successfully acted for campaigner Gina Miller in a landmark legal challenge which resulted in a Supreme Court ruling that confirmed the UK was unable to legally exit the EU without parliamentary approval. Mishcon disputes partner Rob Murray acted on the case, instructing Lord Pannick QC and Rhodri Thompson QC. Starmer, who was formerly previously the director of public prosecutions for England and Wales, has worked for Mishcon in the past. He joined the firm as a part-time dispute resolution consultant in 2014. Starmer’s register of interests says that between 1 June and 30 September 2016, he received £4,500 a month for legal advice provided to Mishcon. Between June and November of the same year, Starmer also received £7,200 for legal advice given to West End firm Simons Muirhead & Burton. The Holborn and St Pancras MP is a tenant at Doughty Street Chambers, where he specialises in human rights law. Mishcon de Reya has brought in Mike Owen from PwC as the fourth member of its expanding cyber security consultancy service, advising clients on cyber intelligence, risk consultancy and reputation management. In a month of global cyber attacks, the new cyber security adviser, who previously worked at BAE Systems and Sage Pay, joined Mishcon’s non-lawyer analysts Emeric Bernard-Jones and Laura Hawkins, and head Joe Hancock. Mishcon described the appointment of Hancock himself, who also joined from Big Four accountancy firm PwC last October, as the lead for a service which goes ‘beyond traditional legal advice’. The consultancy sits within Mishcon’s dispute resolution business, overseen by disputes head Kasra Nouroozi. Nouroozi and fellow lawyers Gary Miller, Robert Wynn Jones and Hugo Plowman all support the service. Mishcon’s cyber service goes ‘beyond traditional legal advice’. 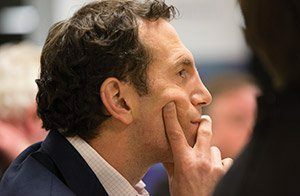 Hancock told Legal Business that the service had been well received by clients, and represented a ‘growth area’ for the firm. Mishcon’s cyber security venture was unusual among law firms due to its combination of cyber intelligence, risk consultancy and reputation management, all under one roof, Hancock added. A ‘broad range’ of clients have signed up to the service, including large corporates, financial institutions and private individuals. A number of them are new to the firm, others are pre-existing. Hancock’s team consists of specialists in data theft, reputation management and data protection. In 2014, Norton Rose Fulbright hired the former cyber security head at National Air Traffic Services (NATS), Paul Swarbrick. He focused on protecting client information and developed the firm’s cyber security strategy. In 2015, Sullivan & Cromwell, Debevoise & Plimpton, Paul, Weiss, Rifkind, Wharton & Garrison, Linklaters and Allen & Overy announced they would form a cyber security alliance to share intelligence on threats, specific attacks and best practice. 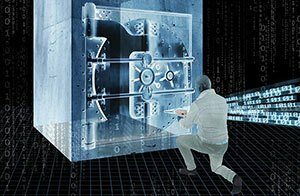 This would allow them to exchange information with US banks, such as Bank of America, Morgan Stanley, Goldman Sachs and JPMorgan Chase, to protect sensitive information from cyber threats. Law Firm of the Year Mishcon de Reya has posted yet another outstanding set of financials for 2016/17, with turnover up 17% to £149.4m – meaning revenues have doubled since 2011/12 when the firm’s top line was £73.1m. This year, revenue was up by around £22m from the £127.9m posted in 2015/16, while profit per equity partner (PEP) also rose by 10% to £1.1m. Litigation accounted for £57m, or 38%, of the firm’s top line. In the past year, the firm launched a much publicised and successful legal action on behalf of a group of business clients to ensure the UK did not trigger article 50 without an act of parliament. 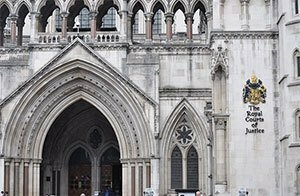 Claimants also represented by Mishcon in the long-running £4bn shareholder group action against the Royal Bank of Scotland (RBS) also settled their case at the end of last year. Following a year-long consultation with its partnership, Mishcon in 2016 set the ambitious target of lifting its revenue by 40% to £175m within three years. 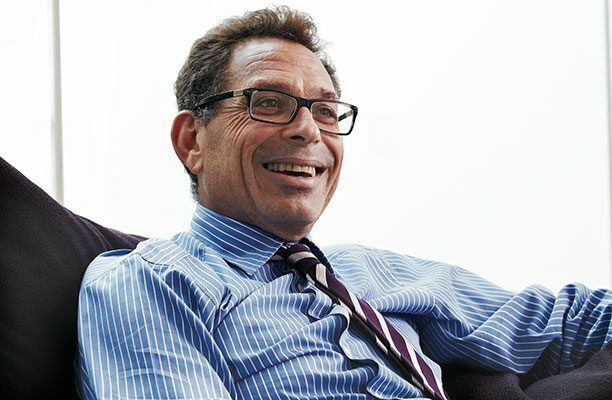 The firm’s managing partner Kevin Gold (pictured) confirmed the firm is ‘currently exceeding’ its own goals, despite ‘one of the most uncertain years politically and economically that we have experienced in a decade’. The firm is also investing heavily in technology which includes the launch of an e-discovery business, Mishcon Discover, that it claims will save clients between 10% and 30% on large disclosure exercises. The firm has also launched a tech incubator dubbed MDR LAB and continues to invest in its in-house training programme, Mishcon Academy. The firm was awarded the marquee trophy at this year’s Legal Business Awards, walking away with the Law Firm of the Year accolade for the second time in five years. 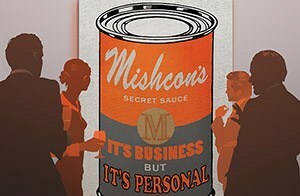 Read more: The USP – What is Mishcon’s secret formula? Mishcon de Reya has appointed Withers’ co-head of European wealth planning Filippo Noseda, who joins Mishcon Private on Monday (19 June). Dual-qualified in England and Switzerland, Noseda has advised clients including governments and wealthy individuals on the establishment, restructuring and implementation of trusts and private foundations, as well as on UK and international tax issues. Noseda spent 14 years at high-ranking global private client firm Withers, where his top-tier personal tax, trusts and probate team was shortlisted in the Private Client Team of the Year at the 2017 Legal Business Awards. Noseda joined Withers in 2003 and was made up to partner in 2006. His expertise includes wills and probate, generational succession planning and family governance. ‘His experience with international issues complements our client base and will undoubtedly help us and our clients to navigate this unprecedented legal and political landscape,’ Libson said. ‘We are faced with some of the defining questions of our generation and Mishcon de Reya’s exceptional reputation will play an important role in helping define and resolve those issues’, Noseda added. Noseda’s arrival boosts Mishcon’s private client capabilities, where the firm is particularly strong in art and cultural property. The firm boasts clients such as the Gagosian Gallery and The Fine Art Fund Group. 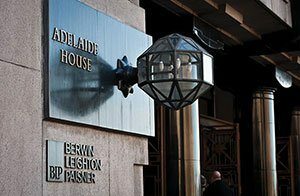 Mishcon has been pro-active in securing lateral hires in 2017, appointing David Leibowitz and Joanna Lampert from Berwin Leighton Paisner (BLP) as partners in April. Restructuring and insolvency partner Leibowitz and real estate litigator Lampert, both joined Mishcon on 2 May. Leibowitz is the second departure from BLP’s restructuring and insolvency group in the last three years, after the firm lost highly-rated former head Ben Larkin to Jones Day in 2014. Another key hire in 2017 for Mishcon was Jo Rickards’ arrival from Kingsley Napley. 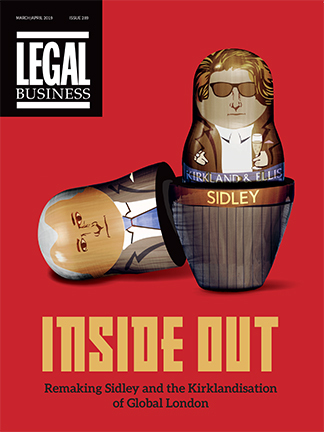 Rickards joined Mishcon’s business crime group as a partner, specialising in white collar crime such as corruption, fraud and money laundering. Mishcon de Reya has revealed a six-strong shortlist of legal tech start-ups to participate in its incubator programme, MDR LAB. The companies were selected after a pitch day at Mishcon’s London office on 25 April, where 19 companies presented their products. The MDR LAB project is the latest of several technology incubation programmes where law firms are offering free legal advice to hook up with up-and-coming companies early in their development. Slaughter and May, Simmons & Simmons and Addleshaw Goddard have similar programmes which focus on fintechs, although Mishcon’s MDR Lab focusses exclusively on legal start-ups. Overseen by chief strategy officer Nick West and in conjunction with tech investment fund L Marks, MDR LAB seeks to promote legal-minded technology that will benefit both lawyers and their clients. The scheme began in January. The chosen companies will now engage in a ten week period where their products are applied to the market, with the start-ups given access to Mishcon’s roster of lawyers for advice. Of the six selected companies, two are based in the UK with the other four coming from Germany, the US and India. Everchron is a start-up founded by former litigators designed for intuitive management of litigation cases. 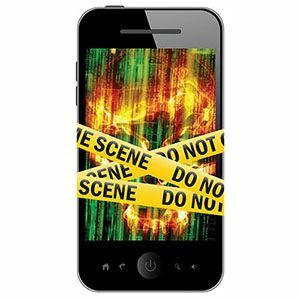 The technology automatically generates witness files and allows lawyers to quickly find relevant information. Orbital Witness is a concept stage start-up based on assisting real estate lawyers via satellite imagery. It provides historical images of a site and claims to be an improvement on existing satellite image technology such as Google Earth. Orbital Witness aims to use machine learning to analyse imagery and solve clients’ queries. Ping is a US-based product which automates timekeeping and provides data analysis for law firms, while SaltDNA is a Belfast-based start-up which offers software which enables complete privacy in mobile communications. Indian start-up Surukam is a tool for managing contracts and Berlin-based company Synergist allows customers to draft, negotiate and sign contracts without redlines or email. Mishcon’s hire of West from New Law pioneer Axiom was the start of a clear strategic push into the legal tech arena. Last year saw the launch of Mishcon Discover, making the firm the first in the UK to provide e-discovery services in partnership with a technology provider. Other firms to invest up and coming legal tech firms include Dentons, which created NextLaw Labs in 2015 to boost innovation. NextLaw Labs invested in legal tech start-up Apperio in March 2016 and backed two startups, Libryo and Clause, as part of an initial co-investment worth around €200,000 towards the end of last year. The Libyan Investment Authority (LIA) represented by Enyo Law, has settled its longstanding dispute against Herbert Smith Freehills (HSF) client Societe Generale (SocGen) and Mishcon de Reya client Walid Giamhi. The LIA had sued Libyan businessman Walid Giahmi in 2014 in connection with an alleged $58m bribe paid to him by SocGen. The LIA has been fighting a number of cases to recoup losses made on deals during the financial crisis, including a separate action against American bank Goldman Sachs, which was dismissed after a two month trial last year. But the LIA has now withdrawn its case against SocGen and Giamhi, and is liable for Giamhi’s costs. The LIA’s case was discontinued on the second day of trial, before oral openings could take place. Giamhi was represented by Mishcon’s head of fraud defence Kathryn Garbett, with Enyo Law’s Simon Twigden acting for the LIA. HSF advised the French bank with a team led by Rupert Lewis. Garbett, who described the LIA’s case as a ‘baseless conspiracy theory’, commented: ‘Giahmi provided full disclosure of all of his financial records and telephone communications dating back to 2006, which showed no illegal payments at all. Giahmi was also forced to seek confidentiality protection for the identities of other individuals in Libya giving evidence in the proceedings because of the risks to their lives and the lives of their families. The court agreed to impose these protective measures in the face of opposition from the LIA. The LIA has been a key client for Enyo Law, which has advised it on this claim as well as LIA’s failed $1bn claim against Goldman Sachs over nine large financial derivative transactions that lost over 90% of their value. Twigden’s team on the case consisted of Brick Court Chambers’ Mark Howard QC, Roger Masefield QC, Richard Blakeley and Craig Morrison. Lewis instructed 3 Verulum Buildings’ Adrian Beltrami QC, Nathaniel Bird and Emmanuel Sheppard alongside One Essex Court’s Sandy Phipps QC and Anthony de Garr Robinson QC. Garbett was supported in her defence of Giahmi by fellow fraud Mishcon defence partner Claire Broadbelt, and instructed Maitland Chambers’ Paul Girolami QC. Fieldfisher and Mishcon de Reya have announced their partner promotions for 2017, with the latter seeing three associates being made up. That number is half of last year’s figure, where six associates were promoted. In this year’s partner promotions for Mishcon, Susannah Kintish, Ben Annable and Chhavie Kapoor have all been made up. Kintish, who has been with the firm since 2008, has been promoted to the firm’s employment department. A Lovells trainee, Kintish has accrued significant experience during her time at Mishcon, notably acting for recruitment company Fawkes and Reece in obtaining an injunction against an ex-employee who stole confidential information. Annable has been promoted to Mishcon’s corporate department with a specific expertise in UK and cross-border M&A and joint ventures. Annable, who has been with the firm since 2010, previously advised Quotient Bioresearch on the sale of its Quotient Clinical division to Bridgepoint Development Capital in December 2016. Kapoor, an expert in property litigation, will be promoted to the firm’s real estate practice. Kapoor has been with Mishcon since 2014, but has had prior spells at Nabarro, Eversheds and RPC. Kapoor’s practice focuses on advising developers on how to avoid disputes, and also providing counsel to both landlords and tenants in relation to business lease renewals among other issues. Elsewhere, Fieldfisher has announced its largest round of promotions since 2010, with nine associates being made up across the firm. The number is a considerable improvement on last year’s iteration when only two lawyers were made up to partner. The promotions have added depth to Fieldfisher’s corporate, IP, real estate, dispute resolution, privacy and private client practices, with the associates taking on their new roles on 1 May 2017. All but one of the new partners have been made up in the firm’s London office, while Olivier Proust has become a privacy partner in Fieldfisher’s Brussels office. James Seadon, a former Mayer Brown trainee, has been promoted in IP, while Fieldfisher-trained Mikhail Basisty has been appointed to the corporate team.